Building and Pest Inspection in Brisbane Outer North - Caboolture, Morayfield, Deception Bay, Narangba and surrounds. Andrew’s building background led him to becoming a fully qualified building inspector after working for twenty years for a large hardware company. A national role in project management and multi-site management of big box home improvement stores followed a successful career in sales, teaching him the value of customer service. More recently, he successfully run and established his own property maintenance business mainly servicing rental properties. Decades of experience in the property industry ensures he provides thorough and detailed reports that are easy to read. Unlike most, Andrew’s inspections are supported by the Resicert 100% money back guarantee. Being passionate about all things to do with property, I enjoy working with people. I decided to provide a service to assist people as they undertake their own personal property journey, having come from a family background in building and renovations. 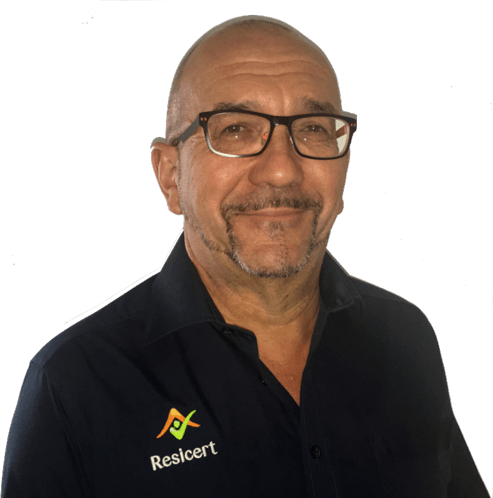 Resicert is a perfect fit to continue my own business with the vast support of the Resicert team and systems, which are second to none.